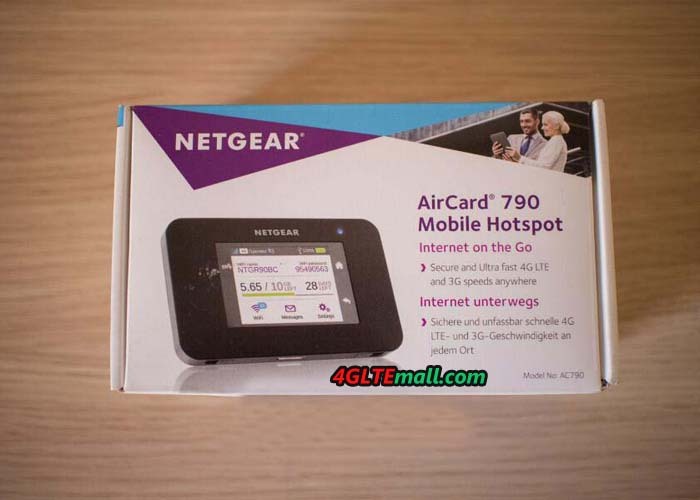 Netgear AirCard 790 is the natural evolution of the Netgear AirCard 785S, a portable 4G router that our staff has tested in the past. We recently had the opportunity to test the new version and compare it with the previous model, allowing them to assess fully all the improvements in relation to the significant price difference between the two devices. 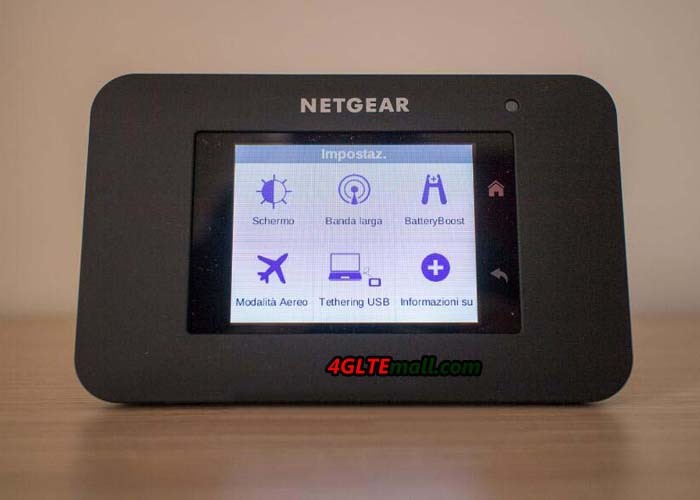 Netgear has managed to improve what already presented itself as a great 4G router. In favor of a more rounded and minimal design, the new AirCard 790 abandons the square lines of 785S. On the front facade stands a much larger display that tells you some information about connection on the touchscreen, where the base is no longer angular. 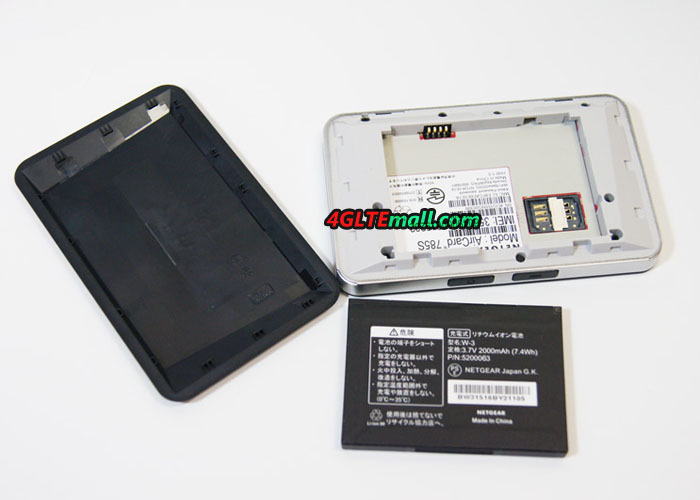 To protect the battery compartment and microSIM, there is a much more rounded shell and comfortable to grip. The frame of aircard 785S was silver in color and visually conflict with the rest of the device, where it is dark gray, amalgamating with the rest body. On the top side of Netgear Aircard 790, instead of two buttons (on Netgear AC785S are On/Off button and Multifunction), there is only one button for on/off, a yield possible simplification thanks to the adoption of the touchscreen display. 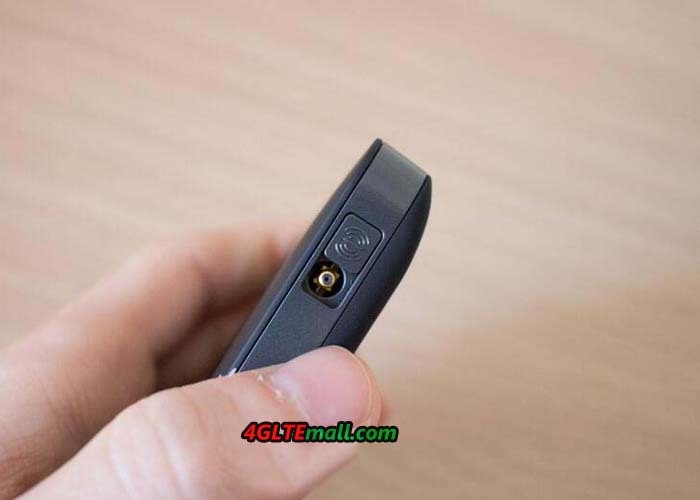 On the opposite side we find then the two inputs for connecting the antenna (antenna is sold separately) to enhance signal reception and 9-pin microUSB input. Regarding the latter, there is no clear explanation why that would have prompted the company in the choice (in the user manual there is no mention about this) of supplying a cable with the best known micro USB 5-pin. It’s clear that the microUSB cable adopted is suitable for almost all electronic devices currently on the market. This can’t connect seamlessly into the wider opening 9-pin, but if you are not careful, it threatens to ruin the port when inserting. As anticipated, the main novelty of the aircard 790 is in the display, wider (5 x 3.7 cm against 3.5 x 2.7 centimeters of the 785S) but mostly touchscreen. You can select items with the touch of our finger rather than only using a key to scroll the list as instead we used to do with the previous model. What’s more, there are two capacitive buttons, “Home” and “Back”, respectively, to return to the main board or return to the previous screen. The main facade just shows a touch on the name or password for WiFi to change this information on the fly, using the keyboard displayed briefly on the screen, as well as by clicking, the usage statistics will be possible to have a quick overview on your data plan, with a lot of data (in GB) used from the start day of the plan, the number of days remaining before renewal and a button to reset the counter at any time. Finally, there are three additional buttons located on the bottom bar. With WiFi you can access the WiFi network information, enable or disable the 5 GHz network, activate a guest network to temporarily connect a host, manage the connected devices (maximum 15 together), block unwanted ones even if they know the password, give priority on the amount of data used by one rather than others, decide the standby time, increase WiFi coverage at the expense of the autonomy and more. On the Messages panel, you can only read text messages received in the microSIM in use, being able to eliminate them with a single touch. Finally, the Settings tab, you will have quick access to the display settings (language, brightness LEDs, the display timeout, WiFi info on the screen, etc. ), to the mobile broadband (3G/4G, roaming, etc. ), mode plane (useful to use the device in Battery Boost mode which will be discussed below), the tethering mode and general information, including the software for upgrade cards, restore factory settings, and little else. In our tests, we cannot say enough about the touchscreen of aircard 790, as it completely eliminates the need to access the router via web or mobile application panel (both are options still available, but are no longer essential or necessary to start using the router immediately or modify one or more parameters if it is considered necessary). Have everything at your fingertips at any time is one of those features that, after having made a habit, you will find it hard to give up. Another new offer of Netgear AirCard 790 is the ability to leverage the internal battery (thanks to the supplied cable) to charge a device if needed. Our tests showed that the 2,930 mAh of 790s routers are able to restore about 60% of the energy of an iPhone 6 Plus, this means that if the phone is completely power off, you have the ability to charge roughly 10-20 %. The battery of aircard 790 has larger capacity than the aircard 785S (2,000 mAh), but we did not find benefits in this difference in everyday use, because we were able to use for more than 8 hours in the whole office with two devices connected via WiFi. Thanks to the tethering function, another novelty that we find in AirCard 790 is that you can surf the Internet by connecting the router to the computer’s USB socket: in this way you will avoid the WiFi connection and at the same time recharge the internal battery of the router. This option is useful especially in the home, since in this way a single power outlet will be occupied. Also when you want to quickly connect a computer to the Internet without activating the guest network (just in case a friend), or when the netgear 790’s energy is running low and you need a few more hours for surfing, the only way is to recharge the internal battery by the USB connection. Here, an obvious difference between the two routers is more difficult. Theoretically, the AirCard 790 could in fact provide connections up to 300 Megabits on LTE Advanced (Cat6), but it also support up to 100 Megabits of the LTE Cat4 which is also supported in the AirCard 785S. In reality, we did not notice obvious differences in navigation. At the same location and same time, they provide network connection at similar speed; Aircard 790s didn’t provide much faster speed as described. Perhaps the LTE Advanced network is not available here. Aircard 790s can’t connect the fastest possible network. 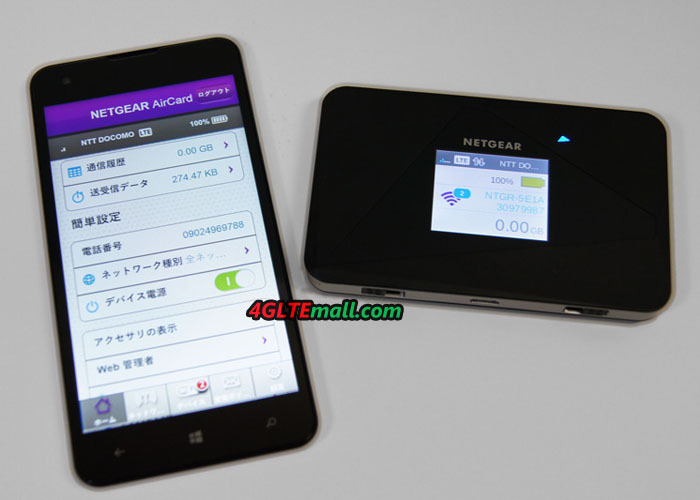 Those who are using a 4G router every day, especially those who usually travel abroad, we would recommend Netgear Aircard 790 to buy. Even those who have the need to frequently access the router settings may find useful from the touchscreen in the new model. However, we believe that the AirCard 785S is still a great 4G router at a budget price, and could provide the best choice for those who simply use a router occasionally, to use perhaps only at weekends. 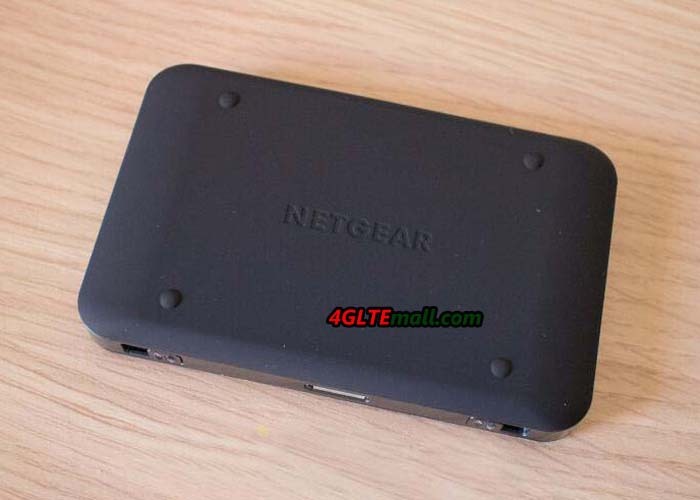 The Netgear AirCard 785s is a small mobile LTE hotspot router, which could be used on holiday or traveling. 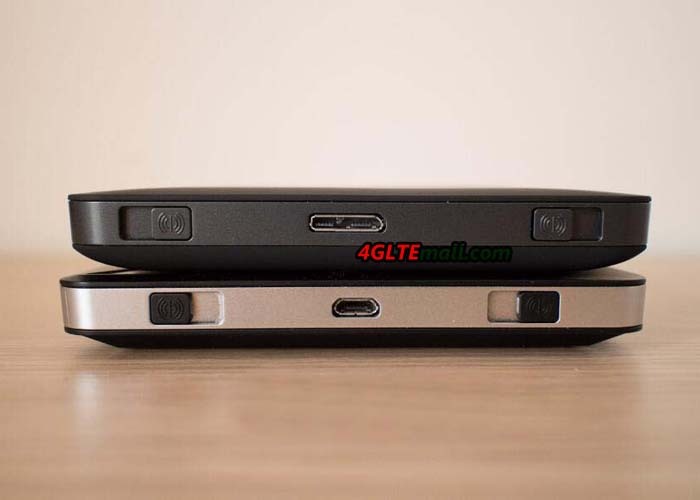 With the Aircard 785s, smartphones and tablets as well as laptops can easily connect to the Internet. Up to 15 wireless-enabled devices can be powered via the AC785S LTE router to the Internet. We have subjected the Aircard 785s on the road to a test. The device is simultaneously dual-band and WLAN n-capable .Per LTE Cat. 4, the speeds of up to 150 Mbit/s are supported in the downstream. Netgear Aircard 785s comes with the dimensions 109.9 x 68.9 x 14.6 millimeters and weighing 127 grams, and is therefore compact and lightweight. The processing of the mobile hotspot is impeccable, we found no sharp edges. In addition, the design is appealing: Because on the front is a triangular design element installed, behind which the rectangular display hides. 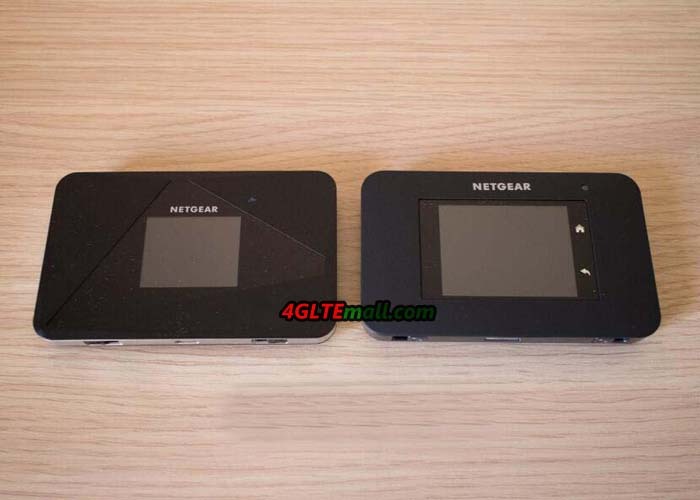 While Netgear sets the front and back of the AirCard 785s in the color of black, the plastic frame is kept in metal optics. 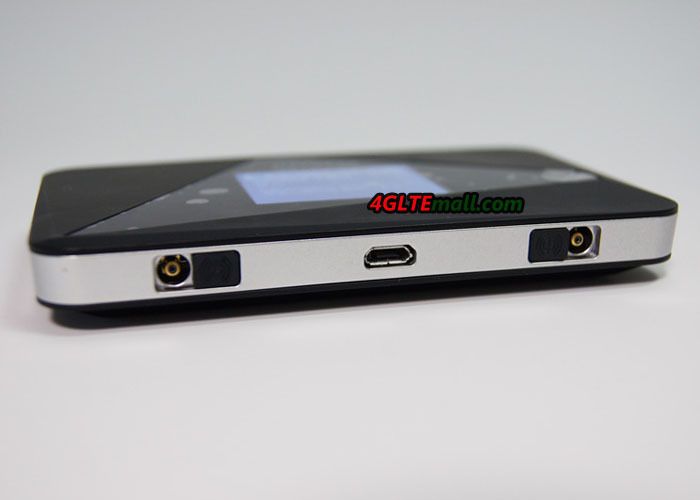 The back cover is removable, so as the battery of 2000 mAh capacity, which covers the SIM card slot. Inserting the SIM card was smooth, but the removal is not easy due to the design. We also spend more power than expected when removing the battery. On the lower side a respective antenna connectors are left and right integrated. 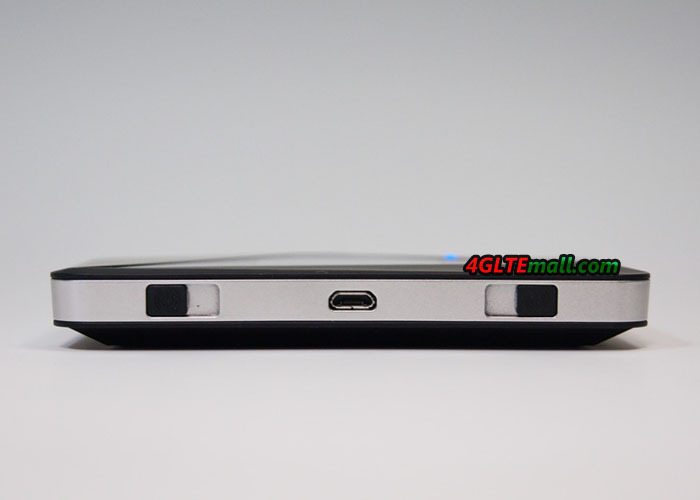 In the middle of antenna connectors, the Micro-USB port is located. After the SIM card plugged into Aircard 785s, we first had to connect the device to a power source, so that we could start the mobile hotspot, because the AC785S came with an empty battery. Then the user has to select the language via the display. The menu navigation is not via touch screen, but with two buttons that are located on the upper side of the frame (facing the display). While the left button works for the confirmation of entry, as the on and off button is the right button to navigate to the next item. Note: If you inserted a different micro-SIM card into the device, the mobile hotspot from Netgear must be restarted. So runs the Aircard 785s: First of all, WiFi in the smartphone or laptop must be enabled and are searching for the Netgear hotspot on the device. This shows then NTGRFAC6. The network generated is then selected and Security Key must be entered, which is displayed on the display of the Netgear 785s, also named password of the LTE router. The device worked without problems in our test and is likely to be implemented quickly for everyone. Further settings and configuration of the router can be done via the website http://netgear.aircard. Here, the user must first enter the password, and then change it by dashboard (under the “Private”), where user can overview a complete of the connected devices, the monthly usage, the wireless information and the current wireless session. Overall user interface for the various settings in the 785 Aircard router is designed very clear and easy to understand. The design is simple and not too cluttered. In the menu, “WLAN” can be edited under “Connect” the main and secondary wireless network. The master and guest WLAN can be configured under “Options”. Here the encryption, the 2.4-GHz or 5-GHz frequency band and the number of allowable WLAN devices are adjustable. Users will have the ability to assign a certain number of devices the master and guest Wi-Fi. The final point is the Mac filter mode: Here appliances a blacklist or whitelist or no list can be assigned. Under the general “settings”, the user can define, for example, the screen brightness, the screen circuit hotspot LED, hibernation and the language for the 785S LTE router. In addition to the instrument settings to place the item “software and resetting”: Here you can restore the settings and retrieve software updates. The menu item “Network” provides additional settings for network mode, APN, the SIM card security and more status details. The last point is “router”, where the user is able, UPnP on or off, set up a port forwarding or port filtering. 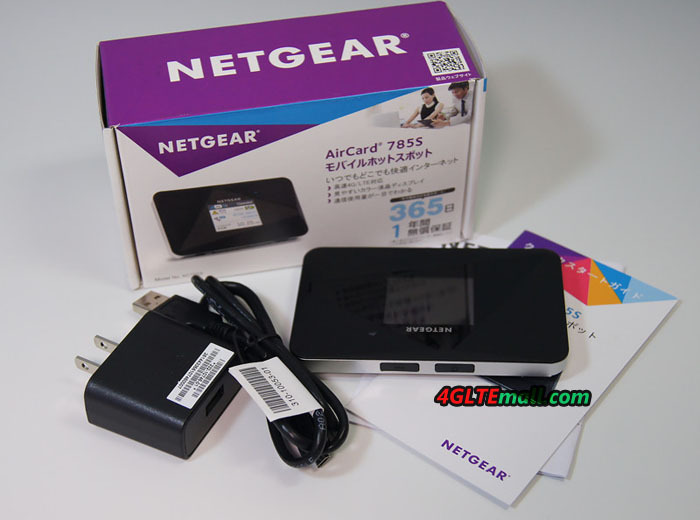 If you want to configure the Aircard 785 by phone or tablet, you need install a suitable app from the respective iOS or Android Store, alternatively via the website www.netgear.com/AirCardApps. The Aircard app offers a quick way to change the settings and has a good menu structure. 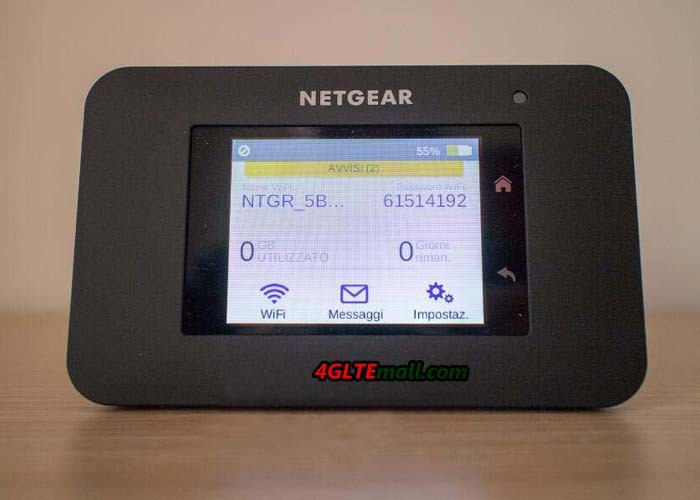 Over the 4.5-centimeter screen of Netgear AC785S, the user can see the status information for 4G/3G network, the wireless connection, the battery life and can set up basic wireless configurations and set an alarm and notification function. However, user may not expect too much from the screen resolution. 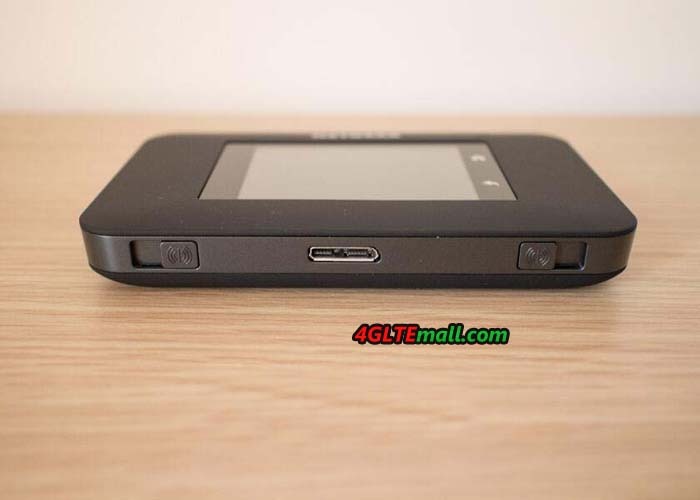 On the LCD screen, at the top of the display, it indicates signal strength, 4G, data transfer and the wireless network. Among the current battery status, it also indicates the number of users connected to the mobile hotspot AC785S and the status of the consumed data volume. Right above the display, the LED status is visible. Through a slow flash of blue light, that is signaled. When data is being transferred, then the blue light will flash twice. A slow, yellow light signals, it means the user that the internet is still not connected to any network. In operation, the Netgear AirCard 785s looks good and comes on a single charge for about 6 hours and 30 minutes in our test. And the Aircard 785 can keep continuous operation of a battery life of up to 8 hours. 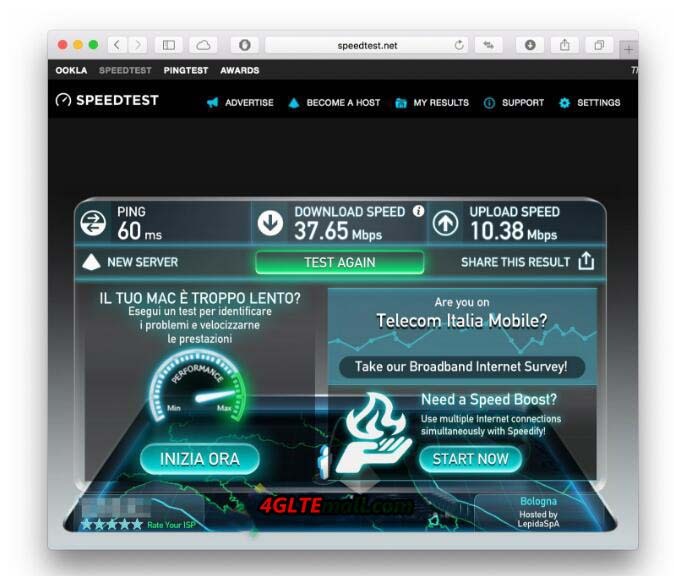 The posting the individual devices via the LTE router worked fine and fast. The assignment of the number of connected devices has been well implemented by the netgear 785s in our test. According to the Netgear official specs, it could support up to 15 wireelss devices, we tested only 10 users. Nevertheless, it is still a useful companion in the mobile LTE router. Especially on holiday or at a meeting in the park with a few friends, the Aircard 785 has proven to be extremely helpful in our testing. 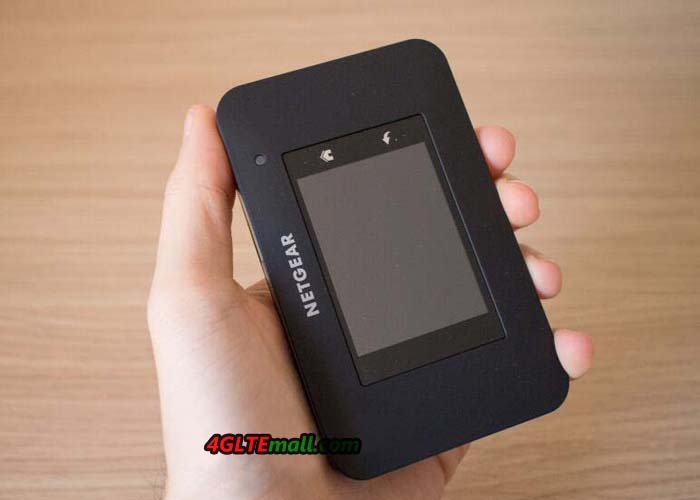 The small mobile LTE router Netgear AirCard 785s has a nice design and is easy to configure via a web browser or via app for iOS, Android and Amazon devices. However, the display cannot be operated by finger touch. In addition, a battery with more capacity would be desirable, especially for users who travel a lot, are on vacation at the beach or professionally have multiple wireless devices in his luggage. Anyhow, it’s good pocket WiFi router for 4G networks.